When you have a problem while using your computer and you receive an error message during a crash, you’re hoping the message will point toward the cause and then it can be appropriately rectified. This doesn’t always happen though and the message can be rather generic and the fix isn’t exactly a straightforward affair with a clear place to start troubleshooting. Unfortunately, there seems to be many errors you could encounter on your system that sound straightforward but lead to the same problem, the error message isn’t accurate enough for you to make a clear decision about what to do next. A disk read error occurred. Press Ctrl+Alt+Del to restart. However, the BIOS detected the hard drive just fine. After an exhaustive search around the Internet and forums, no one had the exact fix for this problem and there doesn’t seem to be one fix to try in preference to any others. What makes this even worse is there are so many different ways to attempt to fix this error, it could take days to get through them all. And to make matters worse, a disk read error might not actually mean there’s a problem with the hard drive itself! Also there seems to be just as many software causes as hardware causes. Listed below are some of the possible solutions we came across to fix the “A disk read error occurred. Press ctrl+alt+delete to restart” problem. This isn’t actually mentioned that much around the web as a solution to the disk read error problem, but believe it or not, this was my problem. I used a tool called Memtest86+ and ran tests on my RAM, and indeed there were problems. After experimenting between different sticks and RAM slots I eventually deduced my RAM slot 2 was damaged because the sticks worked fine in the other slots. As this is a simple and non destructive test meaning you’re not touching the hard drive risking further damage, it is recommended you try this first. It may sound odd but in fact memory problems can be responsible for a vast array of different errors on a system where testing your RAM might be the last thing you think of. As we’ve said, although this problem sounds like a simple hard drive issue, people around the web have reported that they have traced the problem to faulty video cards, modems, motherboards and even power supplies. The easiest way to rule out any of these is to take the hard drive out and connect it up to another machine or connect it to the same machine via external USB. If you can boot it up past the error or can access all your files without a problem, then the issue will likely be related to other hardware in your machine. Unfortunately in this case it could be down to trial and error in finding the offending piece of hardware by removing or replacing what you can, although the next possible fix is quite easy. While the drive is connected by another method, it’s recommended to run a scan with something like HD Tune to test for any bad sectors. Whether HD Tune finds any issues or not, you should also run a “chkdsk drivename: /r” from a command prompt while you’re able to or use a portable tool to do it for you. It’s also wise to make a backup of your files or the whole drive while the drive is accessible. Although I haven’t seen SATA cables fail (but obviously they can), faulty IDE cables can sometimes cause issues such as read or write errors on hard drives as well as optical burners. If you have spare cables, you can replace them, or unplug the current cables, inspect for damage, and then reconnect them if OK. Also try different SATA or IDE ports if you can as there is a possibility of a damaged port. If you get the disk read error after installing a new drive, make sure the hard drive is on the master connector (end of the cable) and if you can, set the hard drive jumper to master instead of cable select. Also try without a secondary (slave) device attached to the same cable if there is one. In rare circumstances setting the BIOS back to defaults can fix the issue. You can usually get to the BIOS by pressing Del or F2 etc during boot. There should be an option to reset to defaults, look for an option similar to the one in the picture below. Failing that, you can remove the BIOS battery for a few minutes to reset. If you’re unable to access CMOS because it is password protected, you can easily reset it from Windows by using CMOS De-Animator. Updating to a newer BIOS has also been reported to work, especially on laptops. We have several more possible solutions to the disk read error problem on page 2. Hey! I got same problem but I am not able to install a new windows or format my HDD can you please suggest me what to do now? When my laptop start it start correctly but when I opened any tool only one pdf file open or when my computer is open then error is show the disk devices and hardware connected to this computer how to resolve ??? I just got that problem. I was using my PC normally. My Main drive on which windows is loaded has been sudivided into 3 drives: (D: for windows), (C: and E:) for other storages. I tried to access a file on drive E: but it was taking time and windows executed a message saying: “Windows Delay Error”. When I went through My Computer to try accessing the file again, only drive D: was visible and no other drives. I tried to restart my PC when then a disk error msg appeared. Precisely speaking, it occurs due to hibernating your laptop. THEORY OF THE ISSUE : In hibernating process, the RAM copies its data into the harddrive and upon turning-on laptop, the RAM takes back the data from harddrive. The problem occurs when RAM can’t take back the data from harddrive,hence showing up this msg on black screen. this morning I had this problem. yesterday i connected the audio cable from the monitor to the motherboard, but as the sound did not work when the cable was plugged into the motherboard I had to take it out halfway. This morning, when I was turning on computer, the hdd had this problem. I looked at what to do now and I simply pushed the cable to the end and it worked normal. It looks like the problem was with the power going through cable. It sparks at the end of earphones (which was connected to my monitor) several times when i would touched it with my fingers. In my 10 year experience working on PCs, got my first bad sata, data cable. ‘Disk Read Error Occurred’ it said. Popped the HDD in another machine, worked just fine. Was able to clone and ran through Disk diagnostics no prob. There’s one important thing that wasn’t mentioned here, and in most cases responsible for this error message. Replace the CMOS battery, should be done every 3 years. Windows has lost boot data if the battery is weak, will try to boot to any connected device and may not locate the hard drive. Windows will only lose the boot order in the BIOS, but most BIOSes default to the first hard drive anyway. This error can occur if the computer finds another drive to boot to first and there is no boot information on the drive itself. My god you just saved me man !!!!!! I am facing same error…..i did every trial what you have mentioned above. ….please help me….i have my thesis file in laptop. ..
wow that worked. i finally got past the error. before i saw this fix, i had to reinstall windows every time it showed up. Wow. I just done a HP test of the hard drive and it said it failed with a string error 9BV4GK-0008MS-X87R76-609R03. What is this string error and do I need to replace the hard drive? Also the systems have the same error. I am very thakfull to you very much. I will remember you. Thank you very much. Thank u very very muchhhh bro i was got frustated for 4 hours in search of solution for this problem but nothing was working but at last i tried ur solution and done it worked very nicely …i appreciate ur suggestion so thank u very very much…. after that i pressed restart button on cpu..then computer showed hard disk error..
this blog is really nice and fruitful and the tricks are really amazing. Thanks to provide us such a great information. Thank you bro raymond, i was in the middle of presentation few moment ago. And i met this article, just by doing solutions #4 resetting the bios, my laptop worked again. Do your data and software in your laptop went missing? or they can be recovered? Great ! Changed the RAM to a different slot and worked fine! command Bootrec save my laptop, thx a lot bro, nice article!!!! How can you use such a tool on a laptop who doesnt start up? Thx, resetting BIOS fixed it! it was a problem with the bootup harddrive, it had changed the bootup drive to another empty drive lol. easy fix in the bios. Thank you so much I thought it would never turn on again! How can I use Memtest86 on a small laptop without CD reader went the PC display “A disk read error occurred. Press Ctrl+Alt+Del to restart”? If you cannot boot from CD or USB then you cannot run a Memtest 86. And how to run it with usb ? There is a version on the Memtest website that will install it to USB for you. I switched the RAM to a different slot, now it’s beeping and will not load at all. Did I just kill it??? Take the memory out and reinsert it. You also need to be careful when handling RAM as it doesn’t react well to static. I am facing this problem in my HP laptop. I tried a new hard disk. But nothing worked. Now even I tried to hit Ctrl+alt+del any number of times, it shows no response. Someone please help me. Resetting the BIOS works for me thanx a lot. I was really frustrated over the error. Simply switching the ram to another slot did the job! :-D Nothing complicated! Thank you so much, It worked. I just change the slot of my RAM and and you have ssaved my pc! THANKS AGAIN! Thanks. The first solution it works.. Changing thr RAM into other slots. U save my life.. Thank you.. Turn off the computer. Let it cool off. Transfer HDD to another port. Works for me. We just found out that my computer tried to boot up off of a memory card that had been accidentally left in the computer., giving us this error. Once it was removed, it went down the list to try to boot off the back up external hard drive. Once THAT was removed, it booted up like normal. At least it works now!! Just like other people the problem to the DISK READ ERROR was due to a faulty SATA cable (the red cable connecting the hard drive to the motherboard). I was rather dubious at first but luckily I had a spare one, I replaced it and the trick it did! Thanks for contributing. Well, I am suffering from this for last 1 month. Nothing seems to work for me. The HDD is fine, The RAM is fine, tried changing SATA Cables but makes no difference. Whenever I get this error, I shutdown my computer for 5-6 hours and then it works fine. My computer is avenging what I have done to him. Oh god thank you!!! You saved me from the trouble of replacing my computer while working on my master thesis! Had the problem of irregularly occurring crashes with said error-message, which lately increased. Seemed to be SATA-cable. Replaced it and seems to run stable again. sudo ntfsfix /dev/sdXY , where sdXY is your corrupted drive and partition ( eg. sdb1, sdb2, sdc1 ….). It can be risky, but for me it has worked. In my case the culprit was a faulty SATA cable. Replacing it solved the problem. Thank you! I changed Bios settings to (HDD – LBA assisted ). Working fine Now after two days of breaking head with different things. I just removed an USB pendrive attached and restarted. It’s working fine now. My laptop throws error disk read error. I am not able to restart nor to bios page. Bootrec commands worked for me! Thanks a bunch :) All of these options are good ideas to try. I have HP Laptop with Vista 64. I have a defective partition cause that is causing the above error. I tried deleting the partition and just leaving it as unrecognized free space. It works fine. But if I want it back, i have to format it doesn’t go through with that. What to do? guys can you please help, im using Hp laptop and it say Disk error or non system replace it and press any key to proceed ….i dont have have any clue what happened can you please help me out ..please i dont know what to do! How do i do that “clean the dust on the motherboard”?? Is it the BIOS or is it the OS that is generating the disk read error that you have shown above? I’m troubleshooting a HDD right now myself. Thank you so much.Just changed my RAM to another slot and it’s working fine. In my case my hard disk configuration somehow got switched to ide instead of raid. In my case, after a wacky power-related blue screen, I got the disk read error. After panicking for a few minutes, I checked the BIOS. My disk with the OS had been moved to third in the boot order for some inexplicable reason. I moved it back to be #1 in the boot disk order and it was fine…. Thank you so much! This article saved me a lot of time troubleshooting. How to run the Memtest when at the screen “A disk read error occured”? I had saved the file to a thumbdrive. Have you downloaded and run the Memtest86+ USB Installer.exe? Just copying the file you download onto the USB drive won’t work. Also you need to make sure your system is booting from USB before the hard drive in the system BIOS. Or watch for a boot selector which is usually an “F” key during startup. This is the second time this happens to me ,and I did the same thing. I changed my rams around, didn’t replaced them , just changed them a,round.and it worked again.just wanted to chare. sometimes things are not that comlicated, so you just have to start with the simplest method.good day. Thank you for sharing this article. I came across with the same problem and don’t have any idea on how to fix it. I tried the first suggestion and it did worked! Thanks for the article. Just adding my comment in case it helps someone. It happened to me yesterday and I thought that my SATA SSD was fried. But to fix it, all I had to do was to disconnect and re-connect the data and power cables (from both the SSD and the MoBo) and re-connect them (so I did not replace any cables). And all was back to normal. Maybe you should try this before going to Memtest, etc. What happened to me was that I did some changes in my PC tower and I must have hit some cables. This solved my problem thank you! I’ve been trying for days and after disconnecting and connecting my cables 4 times it finally worked! Thanks to God i got through this terrible error. Although in some unusual way. I wanted to use Rescatux to repair boot sector. Unfortunately it destroyed it completly. I had got error “No BOOTMGR”, but thanks to that i was able to use windows 7 recovery disc which was previously blocked (some kind of hardware was bugging it). I used repair option on disc and everything came back to normal. Maybe this will help somebody. I just had this exact issue and thought my laptop was fried. I tried step 4 “Resetting the BIOS” and it worked! Thanks for the tip, it was a saviour! I remove both memory stick and clean edge connectors with pencil eraser rubber use LIGHT pressure. Replace in slots. Now all OK. Clue was that DVD drive did not boot setup disk either. I also run CHKDSK afterwards just to be sure disk is OK after blue screen crash, then reboot again. All is now good. Thanks for tips. Removing one of the ram worked for me. I had also a problem with “A disc read error occurred”. 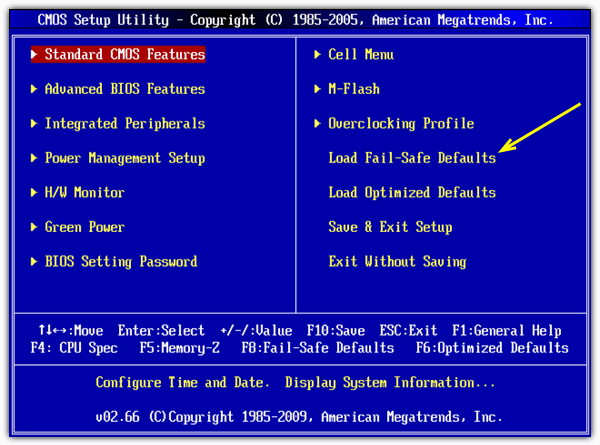 The problem was with date in BIOS, after I set it to current, everything started working. It happend because I turned off power supply for too long. Resetting the bios settings to default worked for me. I had this problem on a Gigabyte Sniper1. Reset the BIOS to default and it came back alive! meana I do but some don’t make sense. like really? for this hard disk has to respond a little. even it has to start from live os. and yes about checking cable and all. there is another hd is working totally fine. You have to understand this error can be related to many different issues, the comments mention any number of fixes have worked from memory, to check disk, to something entirely different. This is why we give you 8 options and there are probably many more besides. This isn’t a one fix works for all problem. Thanks for all the great information! I had to return the computer before I got this one fixed. I started with reformat and re install windows 7 and ran the other way. The only ones I didn’t get to were related to hardware. Though I did remove the battery and let it chill for a bit and looked at the hard drive, not sure why I didn’t just unplug it for a bit. Anyway if I get that sob back I will try those other things. It runs just great except for that annoying message. wish I could have gotten rid of it before she needed it back. You saved me from formatting my pc… My lifes work is there… I just had to change both memory slots to different ones.. Again thank you!!! Hello Elhanan Madmon. i’m having the same problem. how could i get it done? need your assist real urgent. which are the memory slots that you changed? If you have 2 sticks and 2 slots, just take one out and try it in each memory slot in turn. I have faced the same problem. What I did, I ran windows repair form the windows DVD. On restarting, windows loaded successfully. But problem appears once in a month, so need to fix the bad sector of it or replace with the new one. Yup, apparently it was a ‘dead’ sata cable (detected the drive but couldn’t read from it). Thought my SSD died along with my study notes for an upcomming exam. Yep.. changed the CR2032 battery, let it perform the auto-IDE configuration during start-up, reset the date & time (F2 setup). I removed my battery and it started up again. Prior to doing that, I could not enter the BIOS. Thanks for the info. I’m glad I don’t have disk issues. Seriously, thank you so much for making this. I had this issue, could not figure it out. Ran Memtest86+, turned out to be a dead RAM stick. I have an old Windows XP Home Edition computer, and I have been through the System setup and Boot menu a million times, and nothing will work. Help!!! I solved the problem changing the cable from the hd for the cable from the cd drive, the small cable, not the energy cable. I swapped RAM slots and it worked perfectly, thanks guys. Thanks, My PC was also showing same error, I got it checked with a technician and my RAM was found faulty. All must ensure first that RAM is ok. These code and all done ! I had this error at bootup, pressed the key combination, and it booted normally…Could it be malware? I had this problem but I had solved the problem by checking the HDD jumper may be placed wrongly. reboot your system you are done! I had a similar problem (after cloning my Windows 7 installation from a HDD to a new SSD) that gave me exactly the same error message. I tried a lot, even using fixmbr and fixboot, but nothing did help. From a parallel Windows 7 installation onto the same SSD I could check that I could read all relevant files on my cloned partition, but it would not boot. Eventually I came across a tool called EasyBCD, which is able to create and modify a boot loader for choosing between several operating systems. So I created a new entry, rebooted and everything was fine: the new menu appeared and it let me choose between the two Windows 7 installations (though I needed only the one that I cloned to my new SSD). So my solution was to “just” create / modify the boot loader. Thank you so much. Your problem with the RAM sticks was my problem also. I fiddled around with them and problem solved. Thank you for this. Wow – thanks for this. Just saved me sending my HD off for “recovery” – which, clearly, it didn’t need. Wow. VERY appreciated. FIXBOOT AND FIXMBR saved my system !!!!! I recently experienced this too, and solved it! I’m using a desktop PC, Windows 7, with a SATA drive. For other people having this problem who’s using a desktop, with a “clean” check disk, try removing your internal drive, then putting it back again. I’ve been observing my PC for 2 days now… no more black screen with that message! I hope it’s as simple as that for you too! The problem I could not solve any way known to me. I found your website and even tried to change the partition sizes. I experienced this problem for a long time, even resuming from hibernation sometimes the press Ctrl+Alt+Del to restart message would come up, sometimes would start other times I had to go into the Console and fix the MBR to get restarted. Until I noticed that this happened every time there was an external drive plugged in and the system would automatically hibernate, on resuming the message came up. To solve the problem I wrote two scripts used by “USB Safely Remove” these prevent the computer from hibernating while an external drive is plugged in, and now I have had no problem at all.